To celebrate 21 years of work together, neighbors and friends of New Development Corp gathered at the festive Creston Brewery for good food, cold brews and live music on a fine summer day. Special thanks to Horizon Bank for underwriting this special event for the second year. The bank’s support has been spectacular and we treasure that underwriting. 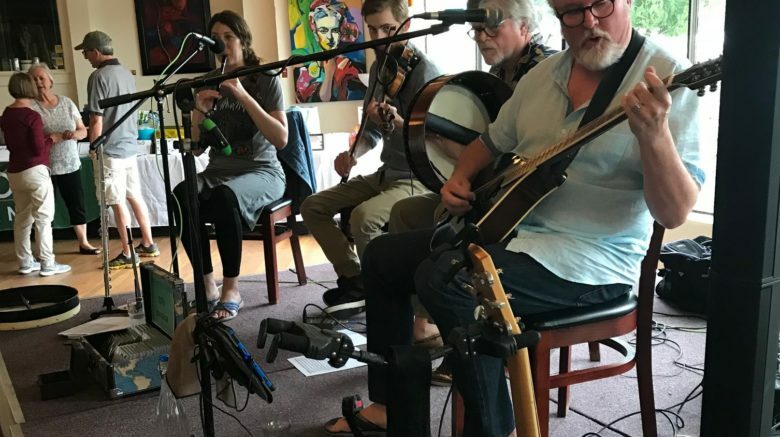 Star Collision CarStar also sponsored the band, Peat in the Creel, which brought some first-class Irish music to the event. Thanks to all sponsors, guests, silent auction donors and all eager bidders for making the day special. A special thanks to our hosts at the Creston Brewery, who are responsible for that great food and cold brews. We hope to “Pack the Pub” again next year. Thanks to all who participated. Your gifts help make affordable housing possible for homebuyers in the north end.